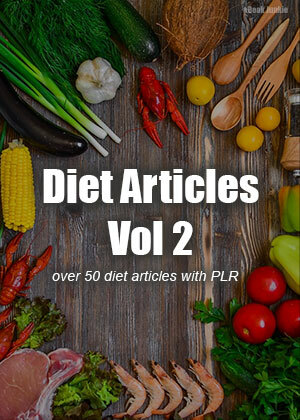 Over 50 well written diet articles with Private Label Rights. You can use these articles as a base to create your own eBook or to generate content for your website. Feel free to do whatever you want with them.